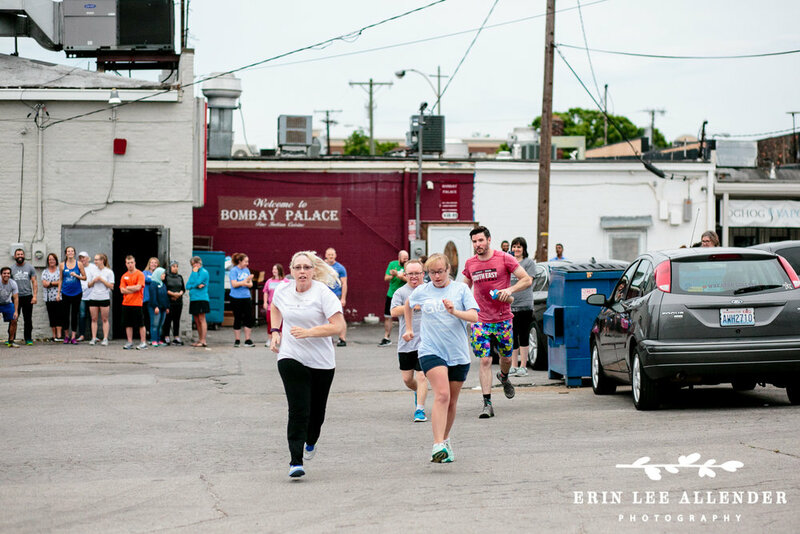 One of my favorite florist friends, Lauren Marie Atkinson, has been posting photos of a group of GiGi's Playhouse participants working out at her CrossFit gym, On The End CrossFIt. 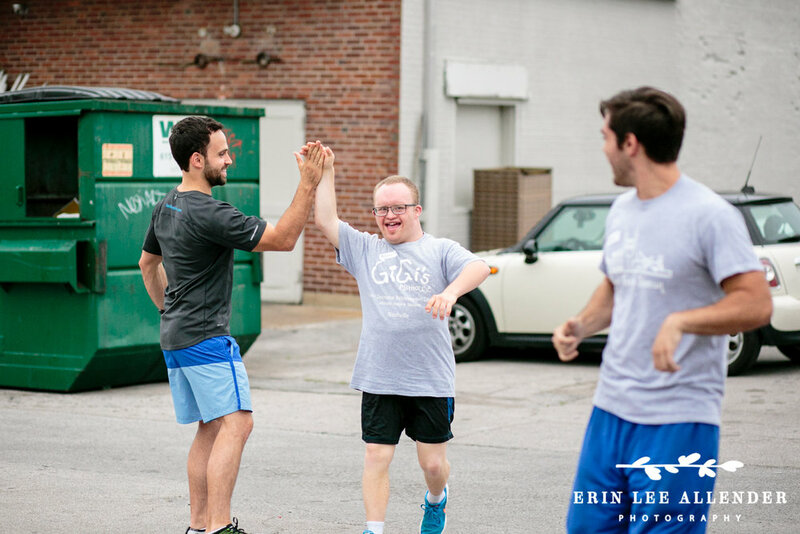 "GiGi’s Playhouse is the only nationwide network of Down Syndrome achievement centers; changing lives through free, results-driven programs for individuals of all ages, families and communities." I wanted to help out and I asked Lauren if I could stop by and photograph what was going on. The teamwork, the joy, and sense of accomplishment that I saw from the volunteers and the participants was intoxicating. 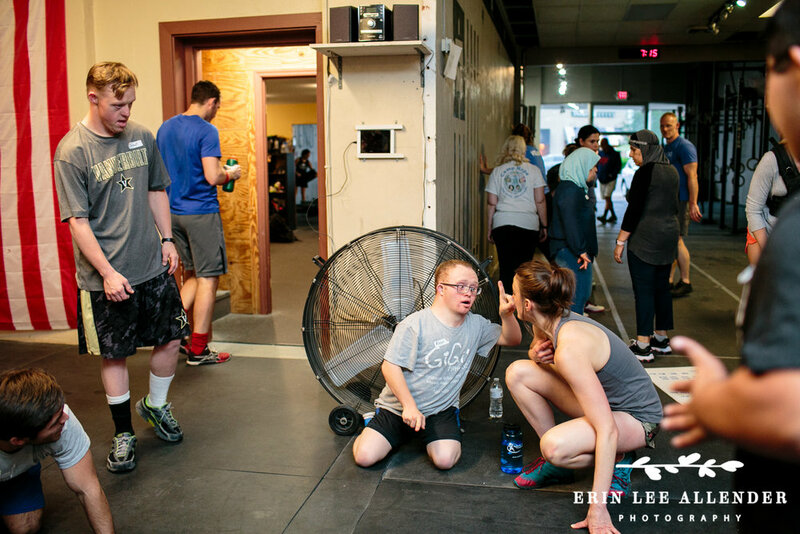 Lauren has been working with this group for for 5 months training for the "Murph" Hero Work, which is one of the most famous CrossFit. 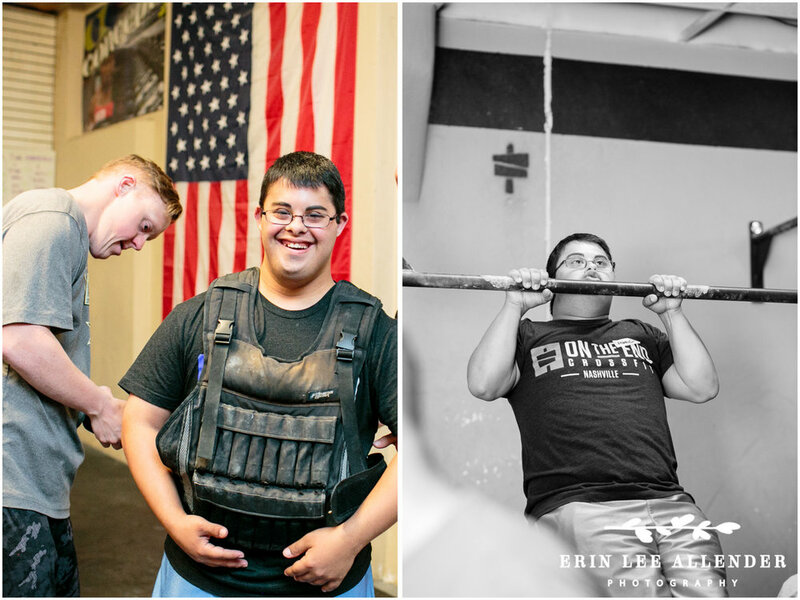 "Hero workouts honor a fallen solider. Murph is usually done over Memorial Day weekend and Honors Navy Lieutenant Michael Murphy who lost his life in Afghanistan in June 2015. It consists of 1 mile run, 100 pull ups, 200 pushups, 300 squats, and another mile run. It was his favorite workout and he would often do it with his weight vest on. It's encouraged to wear a weight vest- which is why Andrew, Josh, Tyler, Caroline, Alan, Ben all passed it around! They finished the workout together as a team! They had been working towards this workout and all the different movements on Wednesdays. 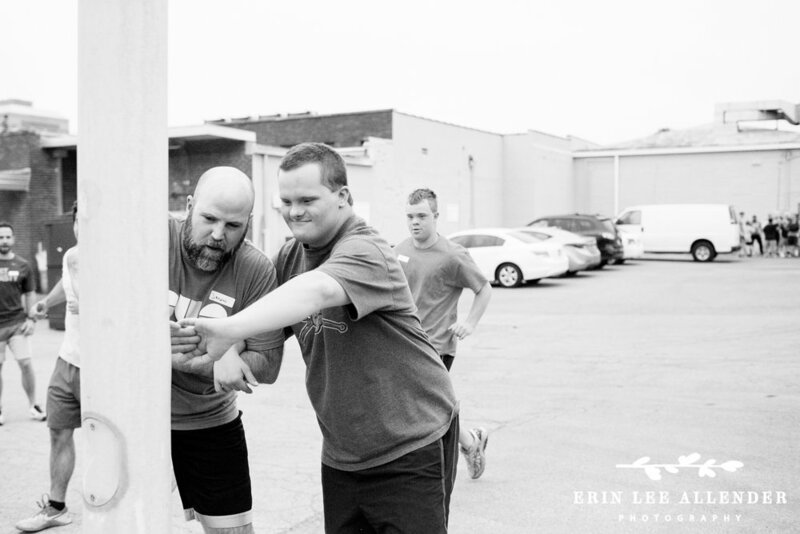 They went from being able to do no pull ups to getting their first pull ups to getting multiple pull ups in a row!" "Gigi's is the benefactor for Row for a Reason! 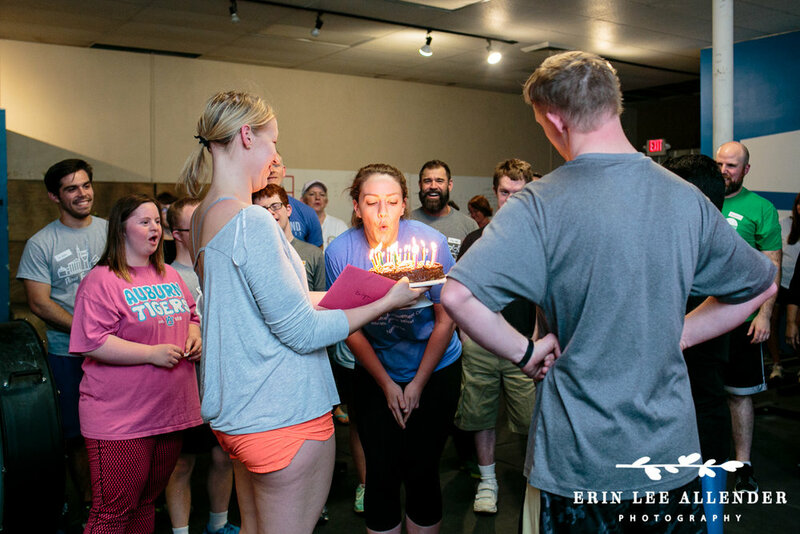 When I (Lauren) decided to row a half marathon for charity with some other CrossFitters in middle Tennessee three years ago, we were trying to find a local charity where we could see firsthand how our charitable efforts were making a difference. 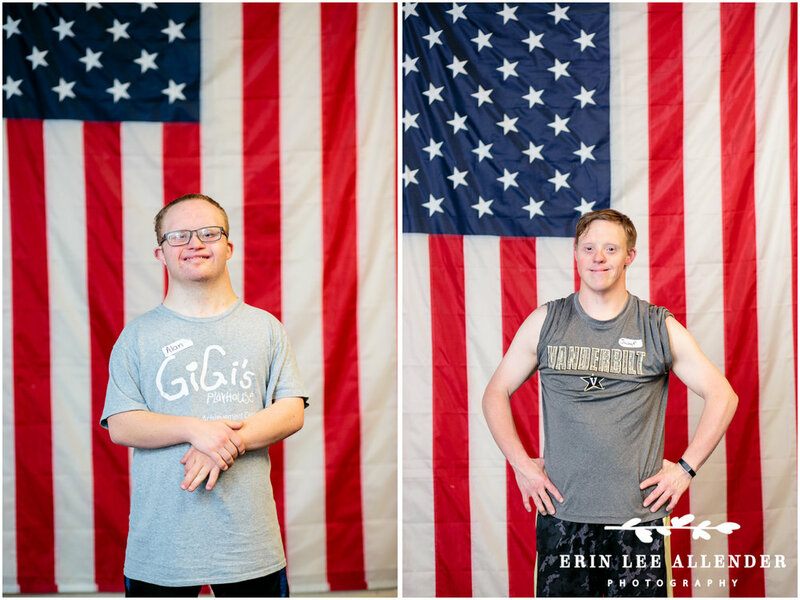 There is a member of the CrossFit community at another gym whose son has Down Syndrome and someone mentioned GiGi's to us and we decided to go with them! 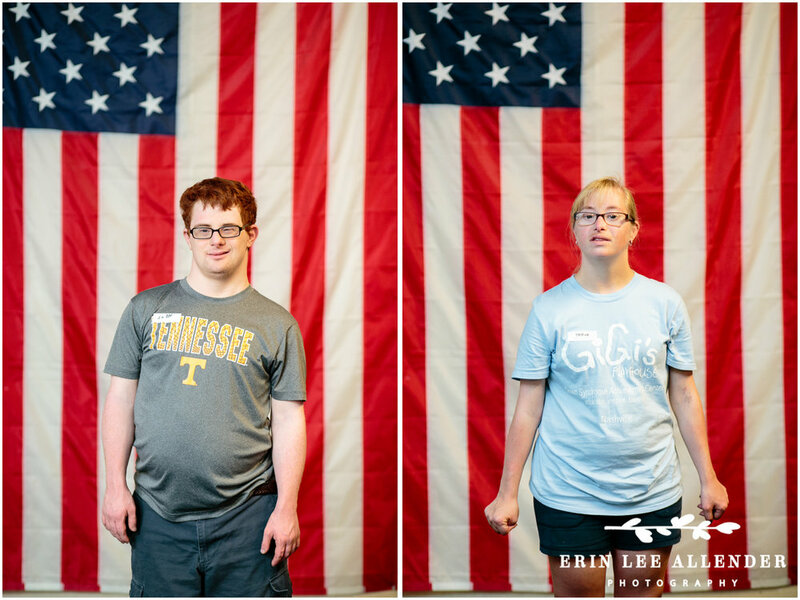 After the first year, we started training some GiGi's athletes to row with us on teams for Row for a Reason 2016 and then after that I approached the owners of our gym to see if we could start training them at the gym throughout the year. 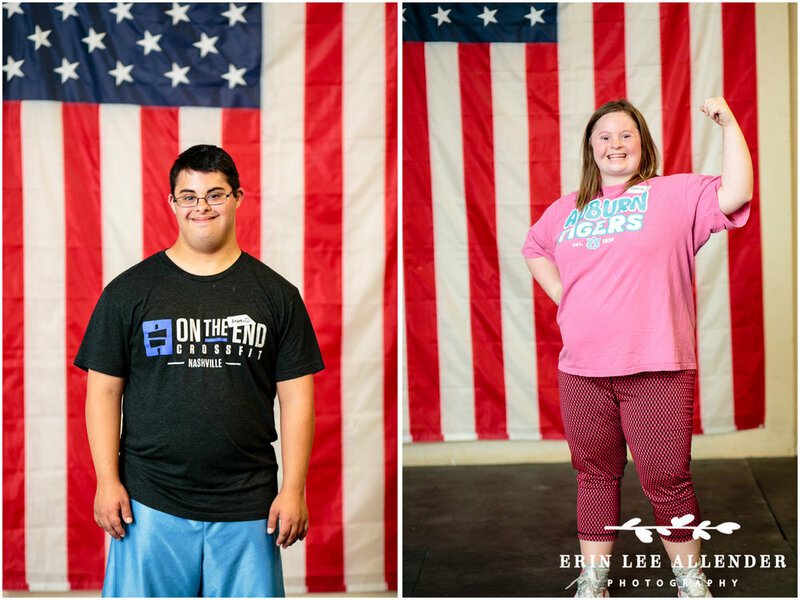 There are so many benefits in connection to the Down Syndrome community and exercise so we decided to go for it." If you would like more information on GiGi's Playhouse, please click here.